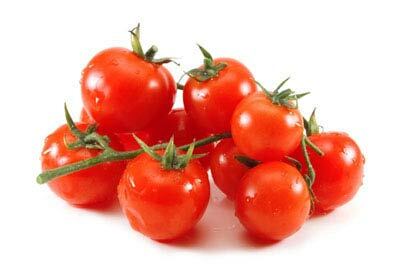 An international group of horticulturalists has published an extensive study in the “Proceedings of the National Academy of Sciences” looking at the effects of refrigeration on” flavor” compounds in tomatoes. Frying at home gets a bad rap. It’s easy to see why—the fear of sputtering hot oil or under-cooked food is enough to give even the most confident home cook pause. But with the right equipment, making a recipe like the easier fried chicken is a straightforward process that hinges on keeping both the oil at the right temperature and an eye on the clock. To season the meat and ensure it turned out juicy, we soaked chicken parts in a buttermilk brine (buttermilk heavily seasoned with salt). We also incorporated baking powder, an unconventional ingredient in fried chicken, into our dredging mixture (flour seasoned with garlic powder, paprika, and cayenne pepper). As the chicken fries, the baking powder releases carbon dioxide gas, leavening the crust and increasing its surface area, keeping it light and crisp. And while most dredging mixtures contain purely dry ingredients, we added a little buttermilk to our mixture because the small clumps of batter it forms turn ultra-crisp once fried. The premier materials society, ASM International, has selected Dr. Bhakta B. Rath as the recipient of this year’s “Medal for Advancement of Research”. He is being recognized for his leadership in promoting basic research and advanced exploratory developments in multidisciplinary fields of materials science and engineering which have led to technological innovation for the commercial sector and national security. Dr. Bhakta Ratha is a past president of ASM International. It is also noteworthy that Dr. Rath has recently founded the “Rath Research Award” at the Colorado School of Mines (Golden, CO) to recognize the Ph. D. or M. S. candidate whose thesis work has the greatest potential to impact U S society and industry. The Award comprises a certificate and cash prize. A dishwasher may have two racks, upperand lower. Which one should you unload first, lower or upper? The answer is lower, because otherwise the remaining water on the upper rack can fall on the dry dishes underneath. Note: We are re-working our Odishagateway.org site. Thanks for your patience! OG Production Graduation Card in Odia Font (first Odia font 3D printed). CLICK HERE. Can artist think about re-engineering (a depiction) of a temple? Artist Depiction of Future System. Starting in late 60’s Odias have introduced a myriad loving foods, vegetables and fruits to the western society which also include gardening. Get some idea clicking here.